At Lakeview Dental, we offer our patients many options when it comes to having dentures made. If you have decided to take action against tooth loss and are interested in getting dentures, our caring dental professionals can develop the best treatment plan for your individual needs. Depending on how many natural teeth you have, the health of your gums, as well as other factors, we can either create a set of full dentures or partial dentures. 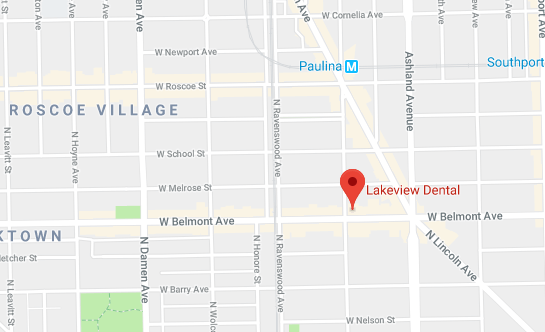 When you choose Lake View Dental in the Lake View and Roscoe Village area for Dentures you can expect to receive the finest care available in or state-of-the-art dental facility. To begin the process of getting dentures made, you will first have an initial consultation with Dr. Adelakun to determine what type of dentures are right for you. Afterwards, the doctor will make impressions of your jaw and existing teeth that he will have models made from. Once the final dentures have been made, your remaining teeth are extracted. It is important to remember that every mouth is different and combinations of partial dentures, dental implants, or full dentures may be necessary to achieve the desired results.